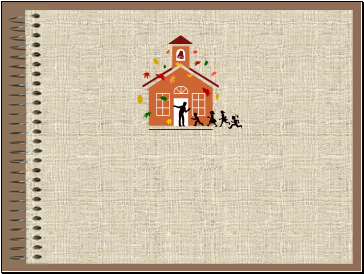 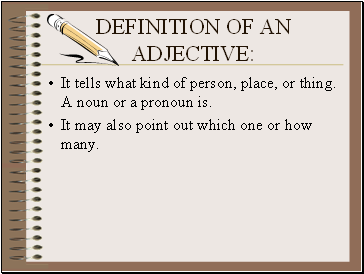 It tells what kind of person, place, or thing. 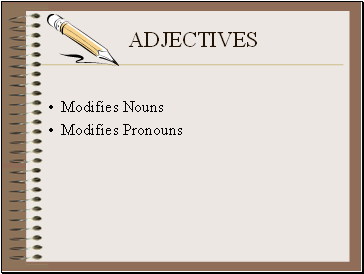 A noun or a pronoun is. 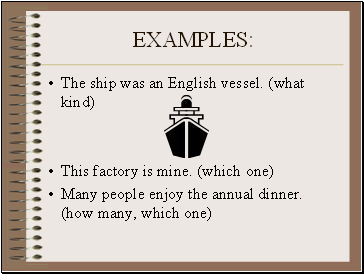 It may also point out which one or how many. 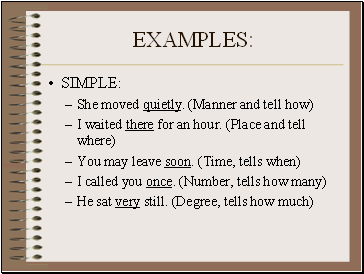 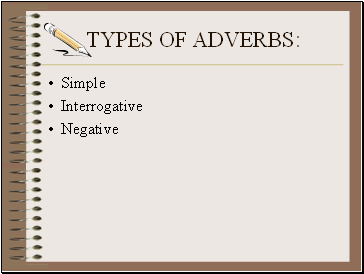 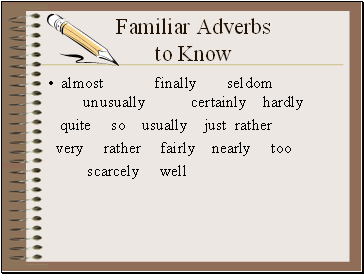 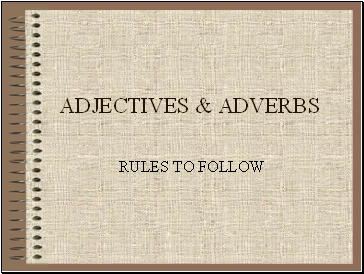 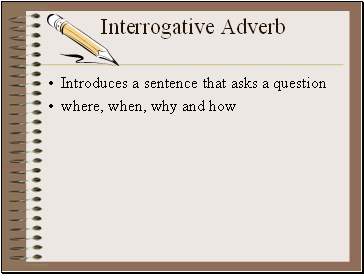 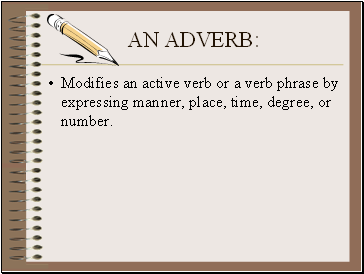 Modifies an active verb or a verb phrase by expressing manner, place, time, degree, or number. 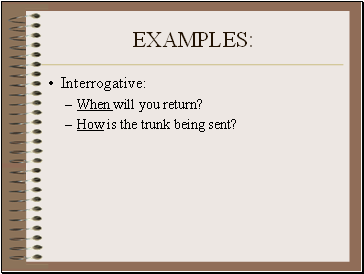 How is the trunk being sent? 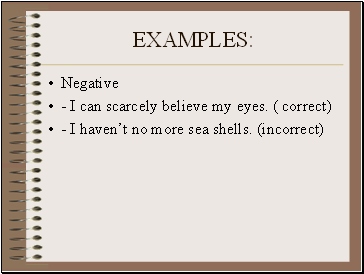 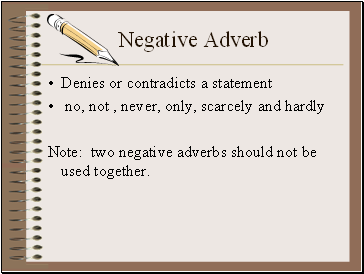 Note: two negative adverbs should not be used together.